Living Area 5960 Sq. ft. This gracious home, built in 1990, is a modern interpretation of Queen Anne architecture and harkens back to a time of elegant, yet comfortable, living. Custom millwork highlights deep sills, large windows, and fireplaces. Tuscan columns define movement through the open floor plan and living spaces. The home is perfectly sited on a corner wooded lot with 50’ front and side setbacks, a stream running along an entire side of the property, and beautiful mature plantings. The home is perfect for entertaining and relaxing, with easy flow patterns and spacious, well-proportioned, sunny rooms. Spanning the entire back of the house is a large deck. A balcony off the master bedroom provides a private setting to enjoy the beautiful grounds. The home is one-of-a-kind that was thoughtfully planned by the owners, designed by architect Neil Rambert, and executed to perfection by master builder, Bill Hall. Its flexible floor plan includes both formal and informal spaces and features a central sound system, four wood burning fireplaces, three separate cooling/heating zones, and a central vacuum system. 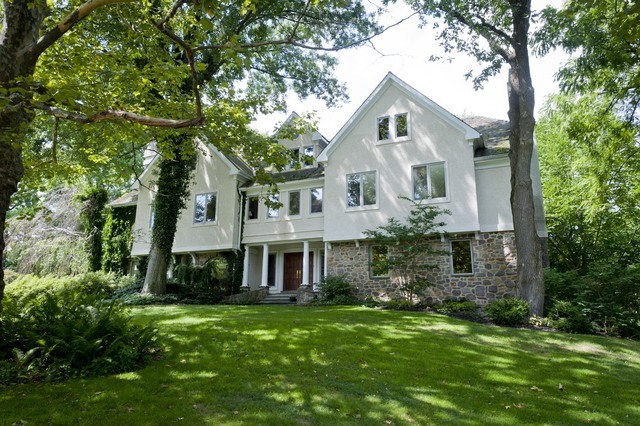 The house is conveniently located in the heart of the Main Line, minutes from Center City and in close proximity to best public and private schools in the country. A must-see!! !